Red, orange, yellow, green, blue, indigo, and violet — create a rainbow of colors out of the three primaries (and white)! Help your child to learn about the science of colour through this thoroughly experimental art activity. 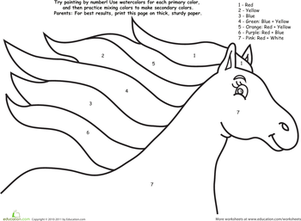 Make a special colour wheel that displays the primary and secondary colors. Encourage your child to be a mini-scientist and hypothesize what will happen when he mixes red and yellow. Set up a special colour mixing exploration and discover how two colors can mix together to form an entirely new appearing hue. 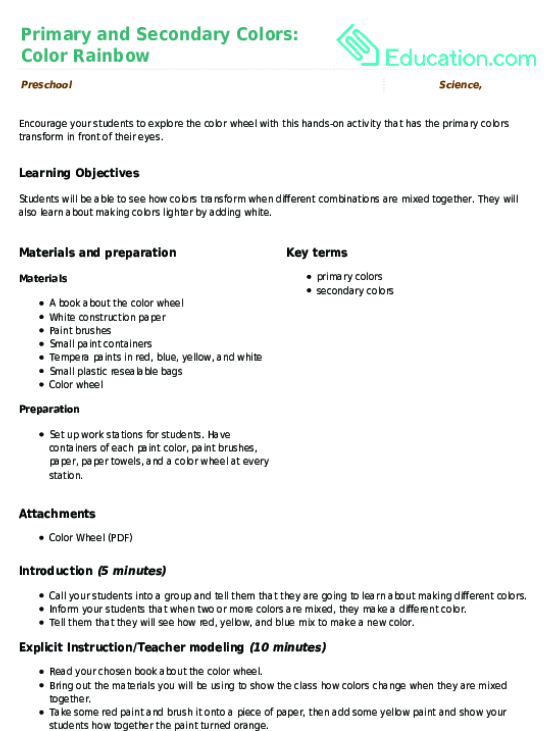 The colour Blending Rainbow activity can be expanded into other learning areas (in addition to art and science). 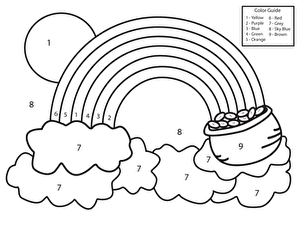 practise the basic maths skill of counting with your child as he numbers each row of his especially unique rainbow. Discuss colour mixing with your child. Use art vocabulary words such as primary and secondary colors. Ask him to think about (or hypothesize) what will happen when two of the primary colors mix together. Place the paints in small puddles on a palette, tray, or other washable surface. A reused foam fruit or vegetable tray works well for this step. Ask your child to experiment with colour mixing. Test his hypothesis by mixing two or more of the colors together to create new ones. 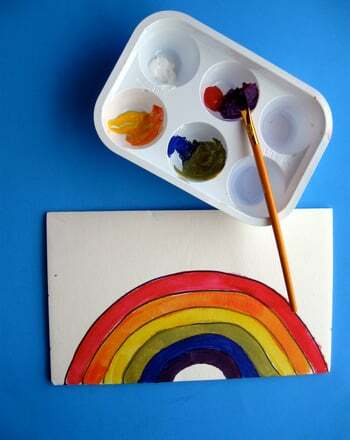 Have your child begin painting his rainbow. 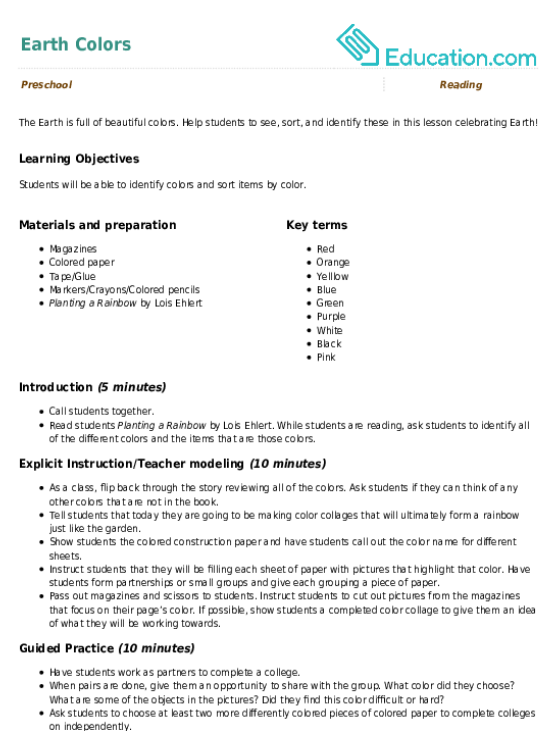 Encourage him to use lines that bend and curve. After the rainbow painting has dried, discuss what new colors were created. 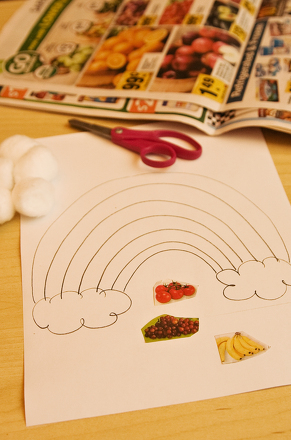 Ask your child to count each layer of the rainbow (or new colour) for a fun maths exercise. 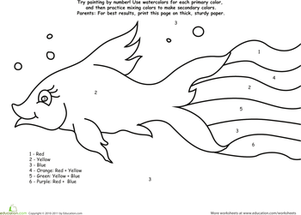 How can this fish be called a rainbow fish without any colors? He needs your child's help to brighten him up. 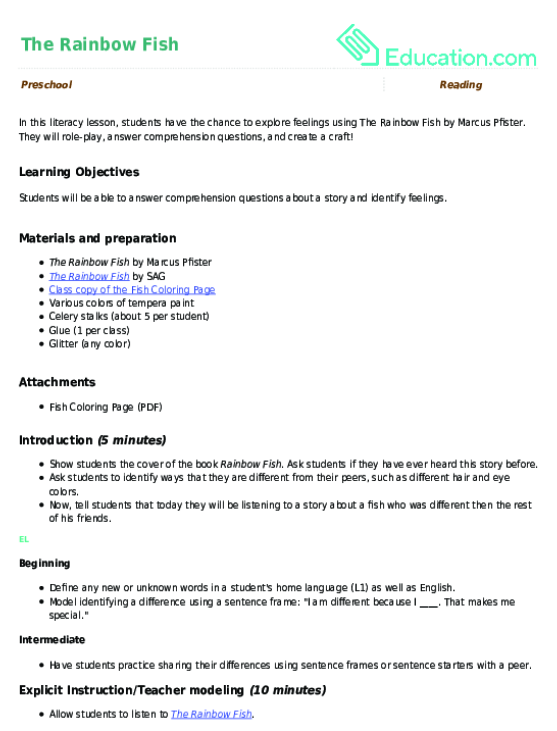 Use this EL glossary with the lesson plan EL Support Lesson: A Rainbow of Feelings. Use these vocabulary cards with the lesson plan EL Support Lesson: A Rainbow of Feelings.